The book opens with a description of her hardscrabble background, growing up on a family farm in southeastern Ohio, one of 15 siblings. She married and raised 11 children of her own. Her husband was abusive. She endured his beatings for twenty years before divorcing him in 1941 and obtaining custody of the children. People wanted to know why she undertook this challenge. At first her answers were flippant: “I took it up as kind of a lark,” she said. But why the Appalachian Trail? “I’m a great lover of the outdoors,” she explained. “I want to see what’s on the other side of the hill, then what’s beyond that”. But why did she really want to do this? According to the author Ben Montgomery, the hike was a response to the abusive relationship she had so long endured, which included frequent and severe beatings. Montgomery speculates that her hike was a form of “walking away” from that experience as much as it was “walking towards” a specific goal. Her daughter, Lucy, tells a different story. 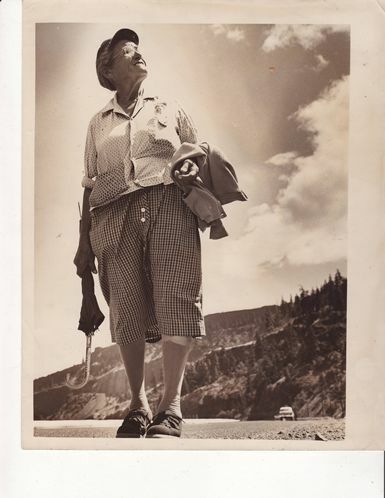 “Mama” was determined to do something notable. And that’s what’s so inspiring about her story: that she set out and accomplished her goal, no matter how improbable it seemed to others. What did she think of the experience? I thought it would be a nice lark. It wasn’t. There were terrible blowdowns, burnt-over areas that were never re-marked, gravel and sand washouts, weeds and brush to your neck, and most of the shelters were blown down, burned down, or so filthy I chose to sleep out of doors. This is no trail. This is a nightmare. For some fool reason they always lead you right up over the biggest rock to the top of the biggest mountain they can find. I’ve seen every fire station between here and Georgia. Why, an Indian would die laughing his head off if he saw those trails. I would never have started this trip if I had known how tough it was, but I couldn’t and wouldn’t quit. These observations spurred local hiking clubs to improve maintenance of the trail. 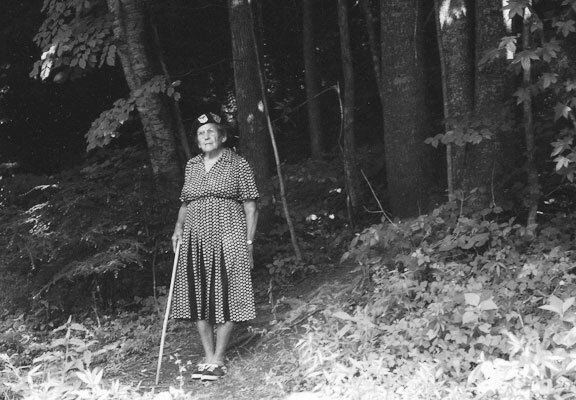 As her fame spread, more people began to thru-hike the AT. I slept wherever I could pile down. Course, sometimes they weren’t the most desirable places in the world, but I always managed. A pile of leaves makes a fine bed, and if you’re tired enough, mountain tops, abandoned sheds, porches, and overturned boats can be tolerated. I even had a sleeping companion. A porcupine tried to curl up next to me one night while I slept on a cabin floor. I decided there wasn’t room for both of us. A reporter asked her what part of the AT she liked the best. ‘Going downhill, Sonny,’ she replied. She was audacious, unflappable, purposeful, practical, tireless, blunt, friendly, tough as grit, and public-spirited. And she had a sly sense of humor. 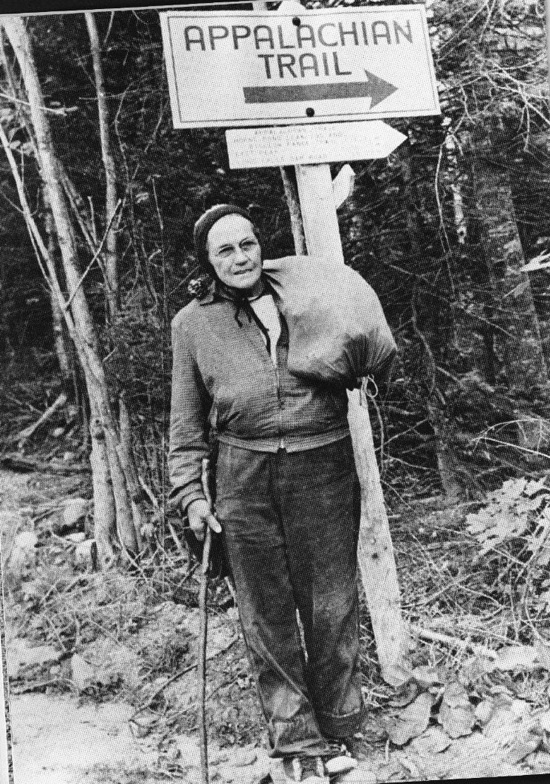 Emma Gatewood was inducted into the Appalachian Trail Hall of Fame in 2012. This was an intriguing read, Ken! Thanks for sharing!